wiiw has again been ranked 4th best international economic policy think tank in the Global Go To Think Tank Report 2018 of the University of Pennsylvania. wiiw can thus retain its rank as number 4 among the (87) world’s best think tanks in the category International Economics Policy. This category lists ‘top think tanks that provide superior innovative research and strategic analyses on topics pertaining to international economic policy’ with the aim of ‘advancing debate and facilitating cooperation between relevant actors’. 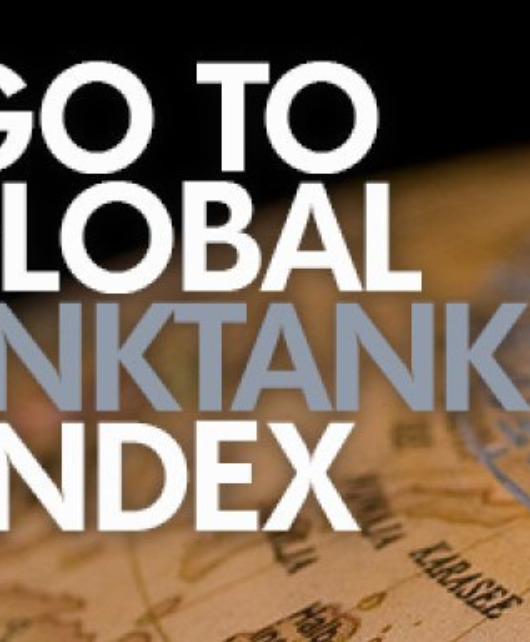 In 2012, wiiw was included in this global ranking of think tanks for the first time. Since then, the institute has continuously improved its position, from rank 17 (2012) to 14 (2013), 12 (2014), 5 (2015) and 4 (2016, 2017, 2018). wiiw has thus overtaken all other European institutes in this category, with the exception of the second-ranked Brussels-based Bruegel Institute. The ranking is carried out annually by the Think Tanks and Civil Societies Program (TTCSP) of the University of Pennsylvania, analysing the role and characteristics of public policy research institutes for 27 years already. The ranking was done by 3,750 experts from academia, journalism, politics and the civil society in a variety of categories (regional and content-wise). Among the evaluation criteria are not only the quality of research and the reputation of the scientific staff, but also the professionality of communication and the impact on political decision-making.